All our professionals at the office of Selena L. Marchan, DMD, PA maintain the highest levels of accreditation and pursue ongoing education to stay abreast of the latest trends in cosmetic dentistry. 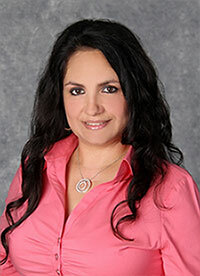 Selena L Marchan, DMD is a longtime resident of the Jacksonville and Jacksonville Beaches area. 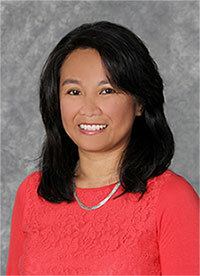 The daughter of a retired US Navy serviceman formerly stationed at Mayport Naval Stations, Dr. Marchan attended several local schools and graduated from Fletcher Sr. High School. She earned her Bachelor's of Science degree in Microbiology in 1988 from the University of Florida College of Liberal Arts and Sciences and continued on to receive a Doctorate of Dental Medicine degree in 1993 from the University of Florida College of Dentistry in Gainesville. Dr. Marchan returned to Jacksonville to be close to her family and has been providing dental care in her current location since 1995. Dr. Marchan believes in treating all her patients with kindness and respect. She works to educate patients of all ages about their dental conditions and treatment options in an effort to guide patients on the best path to good oral health. With a gentle demeanor, Dr. Marchan delivers care in a relaxed, comfortable and family-friendly atmosphere. Barbara has been a registered dental hygienist since 1999 and has been working with Dr. Marchan since 2000. She started her career in 1989 as a dentist in Cuba. She moved to the United States 13 years ago. Shortly after her arrival in Miami, she became the proud mother of one son and earned her dental hygiene license. Barbara is dedicated to providing quality dental care to all her patients. A caring and loving person, these qualities are extended to patients in Barbara's professional treatment and interactions. "Welcome to our practice. Bienvenidos a nuestra practica." Laura is an expanded duties dental assistant. After training as a volunteer in the Naval Dental Clinic Red Cross Program in 1992, she received her EDA and Radiological Certification from the University of Florida in 1993. She began working with Dr. Marchan in 1995 until her husband was transferred by the Coast Guard to Key West, Florida in 2000. When her family returned to Jacksonville in 2007, our office was blessed to be able to bring her back into the practice. Laura is proud to be living with her husband, son and two cats in her hometown, where her father was stationed when he served in the Navy and where she graduated from Fletcher High School. "I look forward to meeting you and helping you to achieve the healthy, beautiful smile that you are looking for in a caring family practice." Jain is an expanded duties dental assistant. Born and raised here in Jacksonville, Florida, Jain began her dental career after graduating from the Concorde Career Institute in 1998. 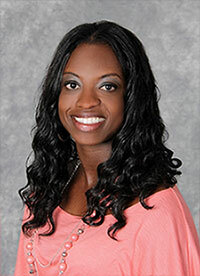 She gained additional experience by working as a dental assistant at the University of Florida College of Dentistry and as a US Army dental specialist. She was employed with Dr. Marchan's practice in 2007 and since then has enjoyed every aspect of being a dental assistant. "It is very rewarding to work with the doctor and staff, knowing that we make a difference in someone's life every day." Currently, Jain is married with two beautiful children. Outside of the office, Jain loves spending time with family and friends. 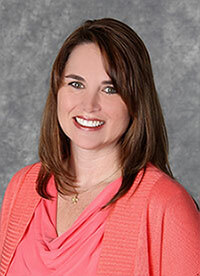 Her goal is to provide a positive and comfortable dental experience for every family seen here in our office.